My Recap Academia – Chapter 176 – AiPT! It’s Midoryia vs. Gentle Criminal in the new chapter of My Hero Academia! Let’s dive in and discuss! Welcome to the next installment of the My Hero Academia recap column! As each new chapter is released, I’ll be sharing my reactions, so be warned that there will be SPOILERS for the newest chapters of My Hero Academia as well as the series thus far. This chapter is all action as Midoriya faces off against Gentle Criminal in an attempt to stop Gentle from reaching U.A.! Gentle seems more than happy to change his plans and tells La Brava to get the camera rolling so he can share his fight with Midoriya to the world. 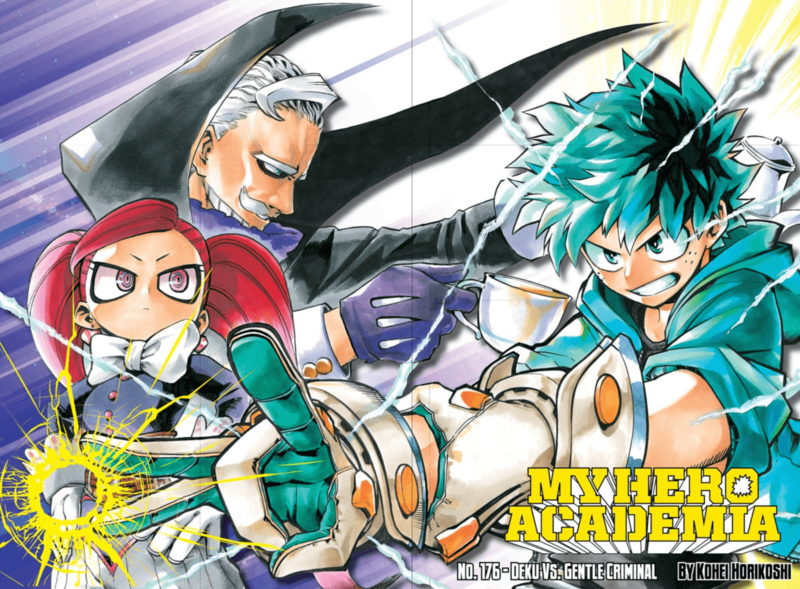 Through their brief tussle that continues through the chapter’s end, we get to see how Gentle’s “Elasticity” Quirk works, as well as Midoriya’s new move with the help of the gloves he got from Hatsume. We’ll have to wait until the next chapter to see how their fight ends, but this chapter gave us plenty to discuss with regards to how this arc is going! That’s all for this chapter! Want to read more of our thoughts on My Hero Academia? Check out our review of the newest volume and last week’s recap column. ‘Til next time, keep it Plus Ultra!